The curious boxes are making an appearance in the opening exhibition in this beautiful new gallery. 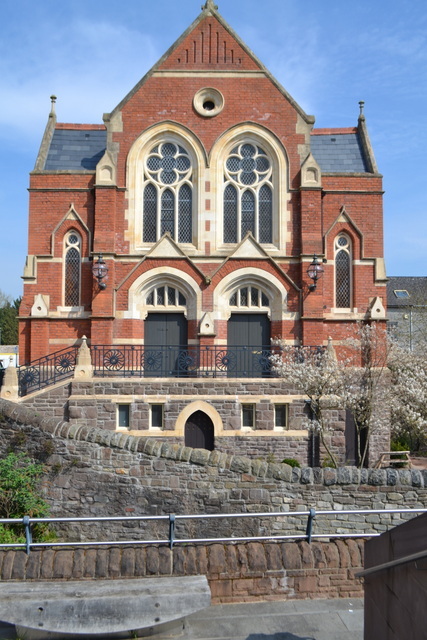 This newly renovated chapel is in Market Street, in the centre of Abergavenny. It’s a beautiful space with coffee shop, bookshop, childrens’ area and pretty landscaped garden. The exhibition opens on 25 April and runs until 6 June. For more details look at the Art Shop & Gallery website. This entry was posted in Uncategorized and tagged The Art Shop & Chapel on April 10, 2015 by chestnutandhazelnut.